Last year, during the third term period, my son came home from school one day and told me upfront, ‘ Mommy, me sina birthday !’ (‘Mommy, I don’t have a birthday!’) He said it so innocently and broken-hearted that it almost broke me too. I wanted to know what made him think or say to that level. ‘What made you say so?’ , I inquired with concern. ‘ Kids have birthdays in school but they haven’t celebrated mine and yet we are almost ending the term,’ he continued sorrowfully. I hoped I convinced him enough because, he lighted up to the thought of a birthday after the holidays, or so I thought. When it comes out birthdays, children are usually expectant to have a day worth remembering and from the 2017 challenge that my son gave me, I had to ensure that I shall put up a birthday that he shall remember through the whole school year. Personally, am a lover of cakes, and my son is a total opposite of sweet tooth. 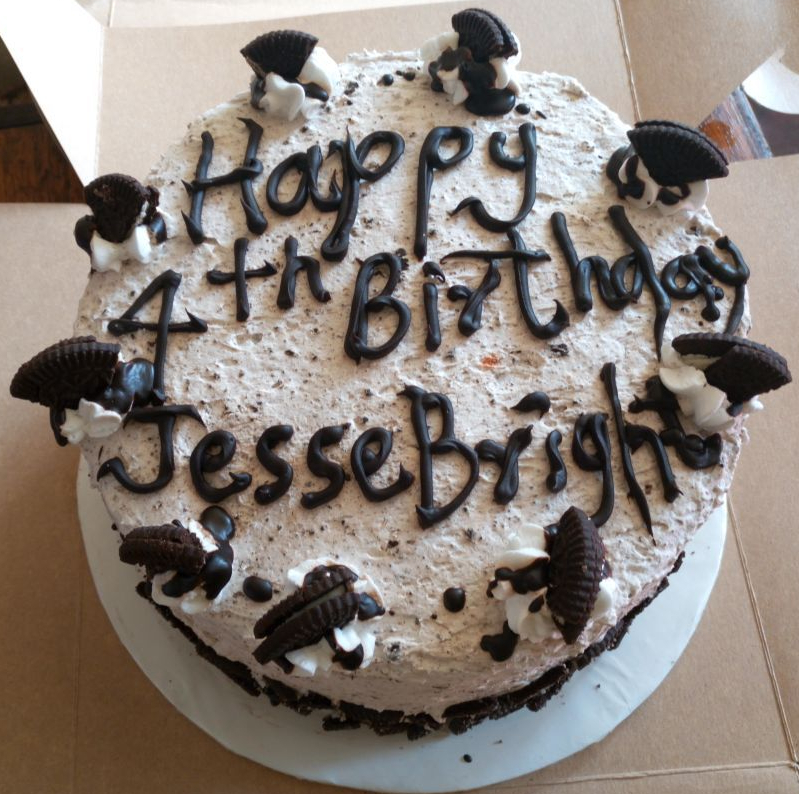 If it were my cake, it would have been a smooth run, but this time I had to choose a cake that my son would enjoy, and be fair enough for the children’s sweet appetites. His birthday was on Sunday and there’s no way I would hold a party for my son and miss the cake. 😋😜 Being a Njaanuary (as we refer it in Kenya), I had limited budget and had to deliver my promise. I simply called up a friend, I told her I needed 2 cakes for same birthday, one for school party, one for home party. I needed a successful party one worth remembering. We all say, in parties, all we remember is the beauty and taste of cake. H Creations delivered more than I expected. 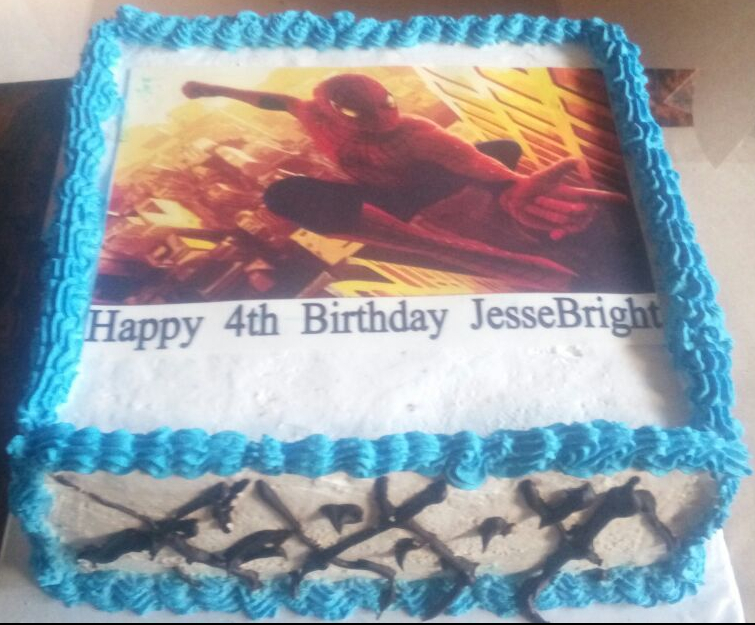 Of course during the week I had back and forth of which flavors I opted and the models drawn, eventually, they convinced me and we all settled for Spider-Man , Oreo flavored cake. Gladly, they delivered to my door step some sweet cakes that my son loved and keeps pushing me to bake similar cakes. H creations really proved themselves worth it, they have won my go-to place for all my pastries needs. If I get cake cravings and I get lazy baking, I am now assured H Creations will deliver to my specifications of ingredient requirements without health worries. That oreo cake looks yummmmmmmmmmy!! I can almost taste it.